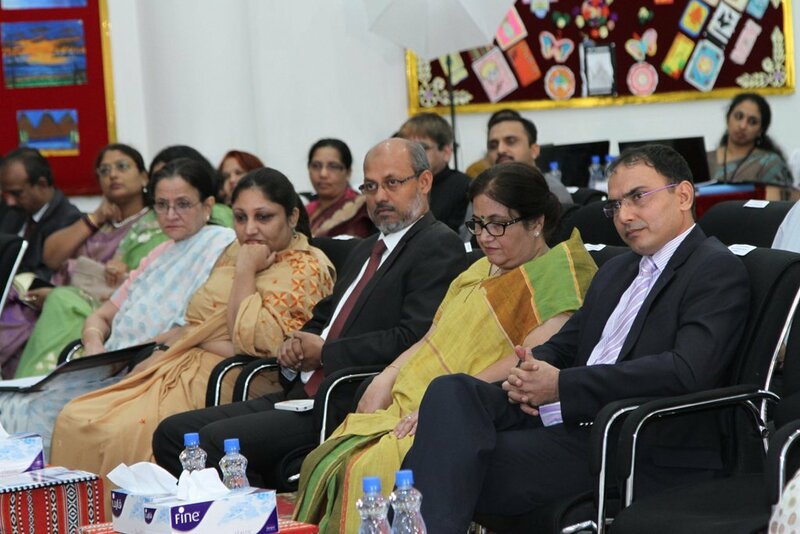 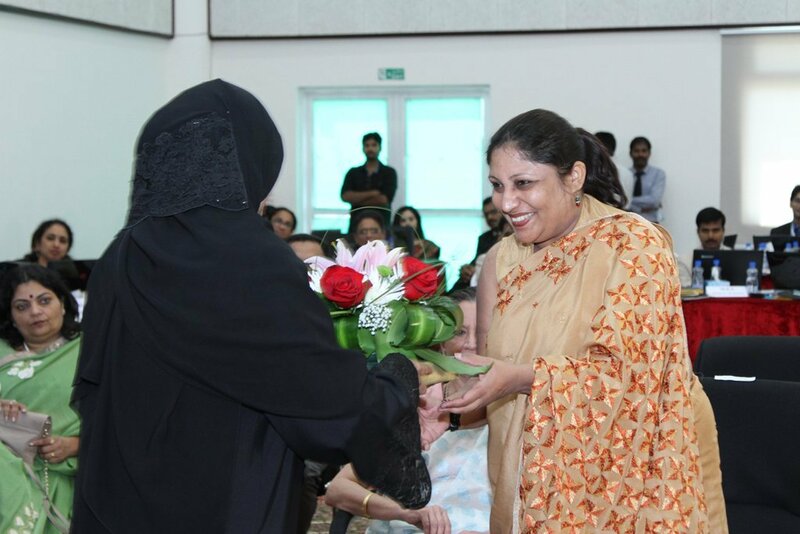 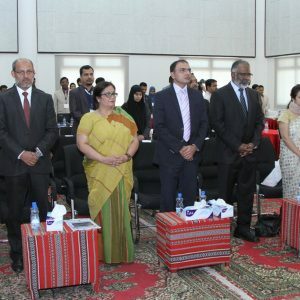 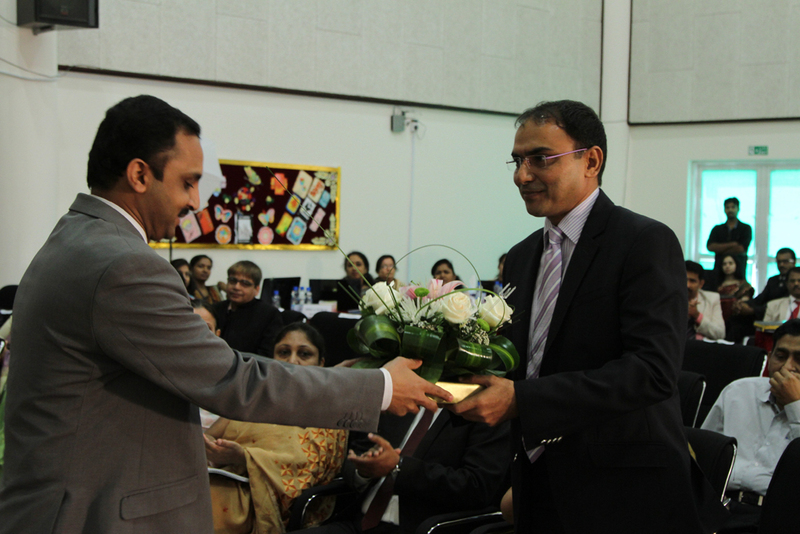 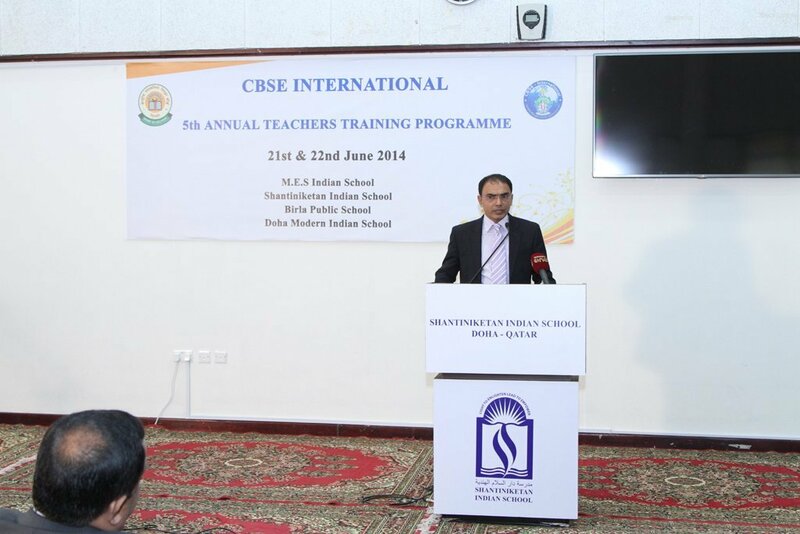 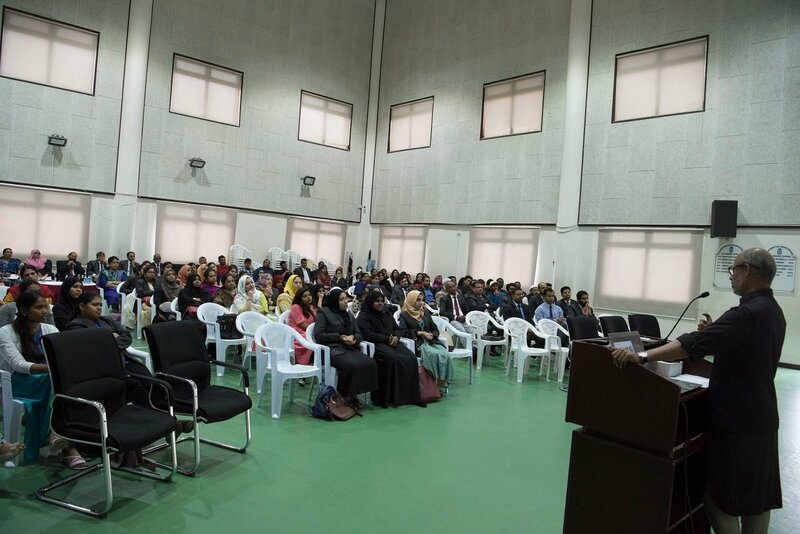 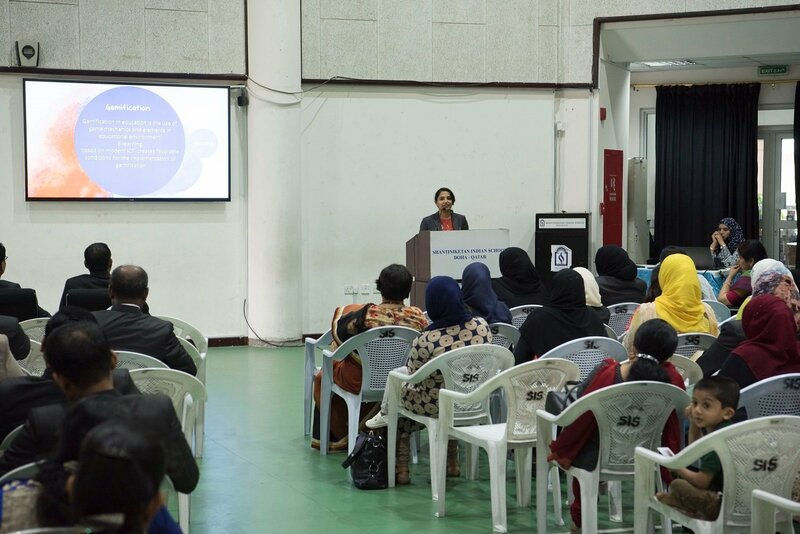 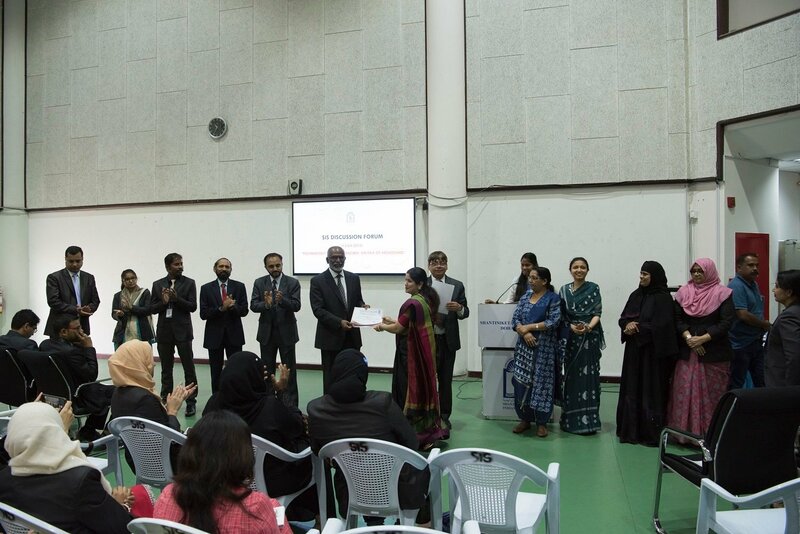 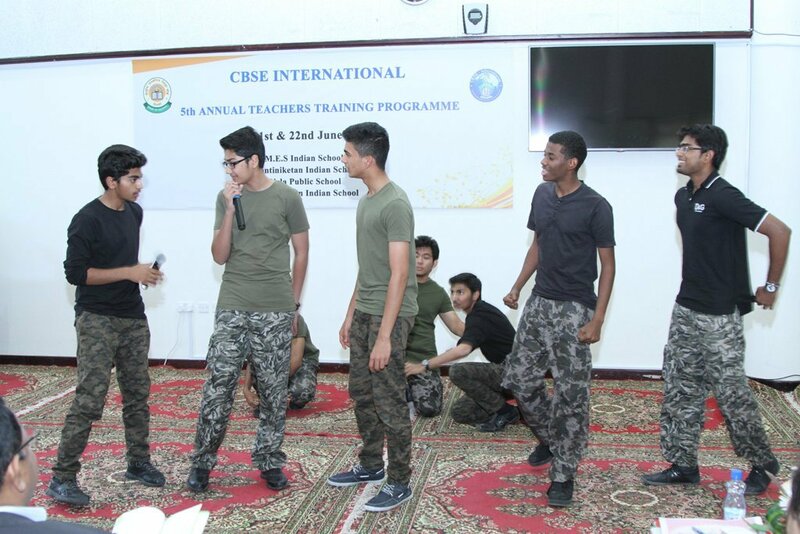 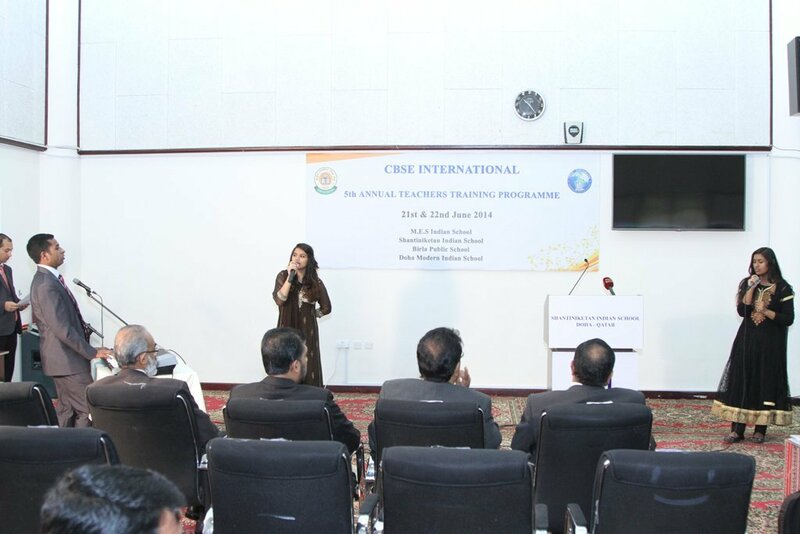 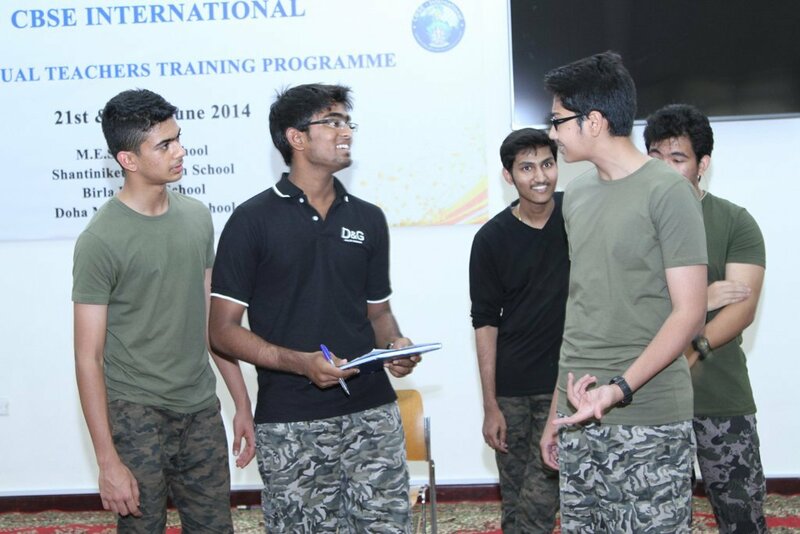 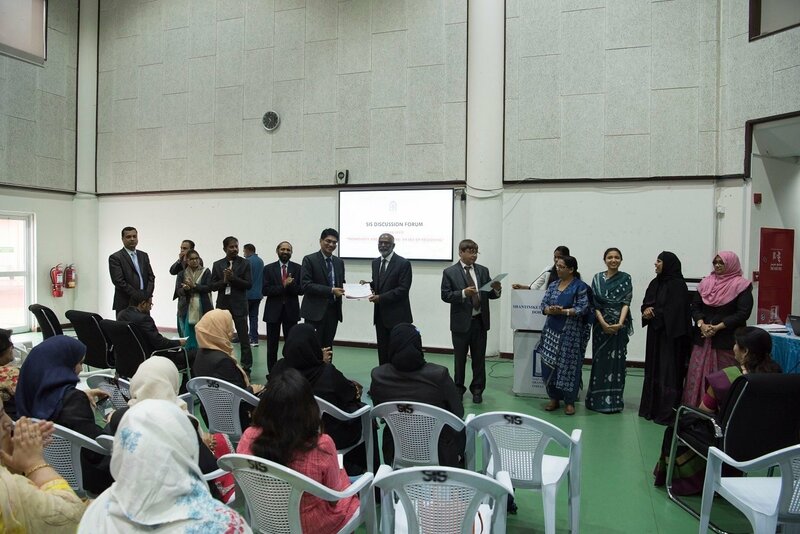 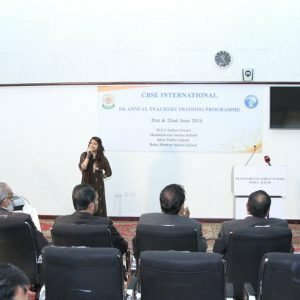 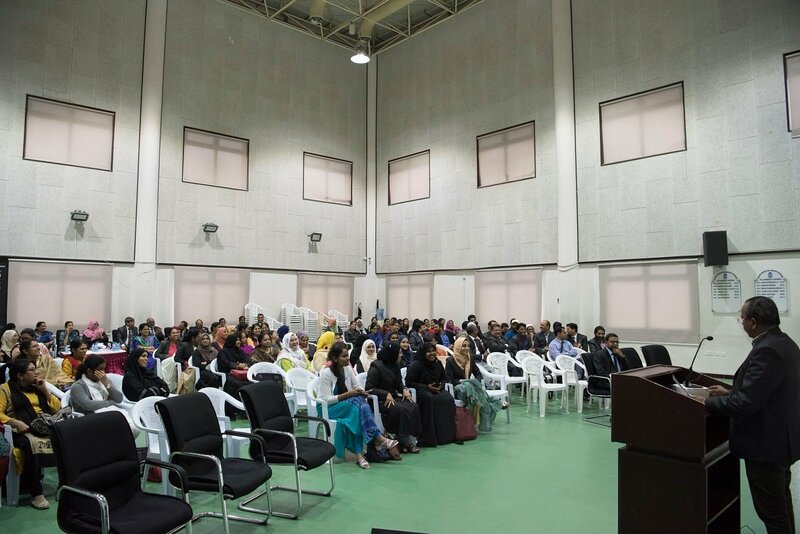 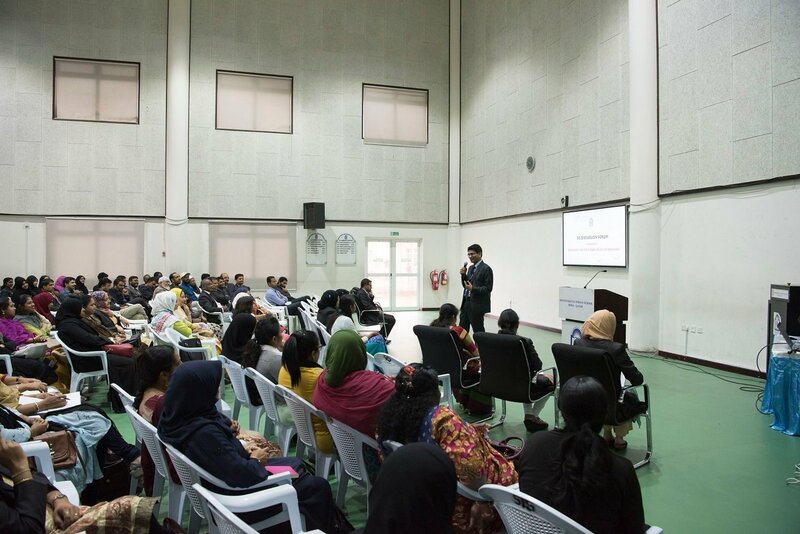 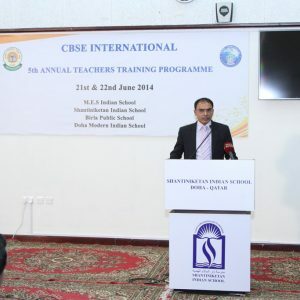 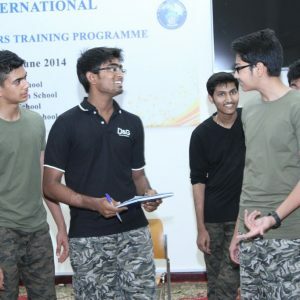 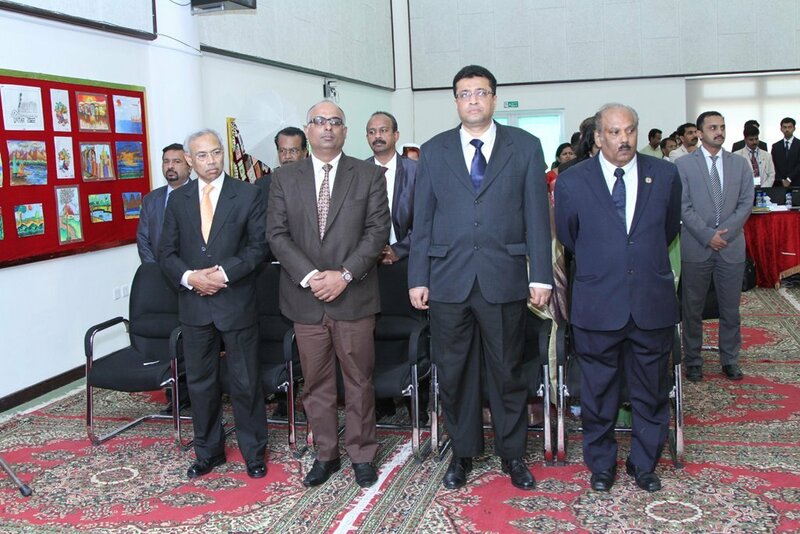 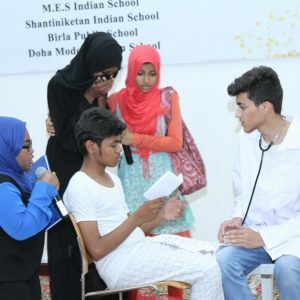 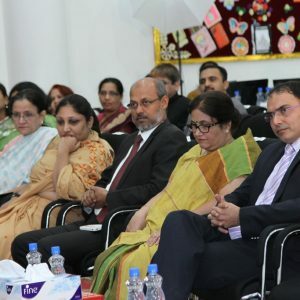 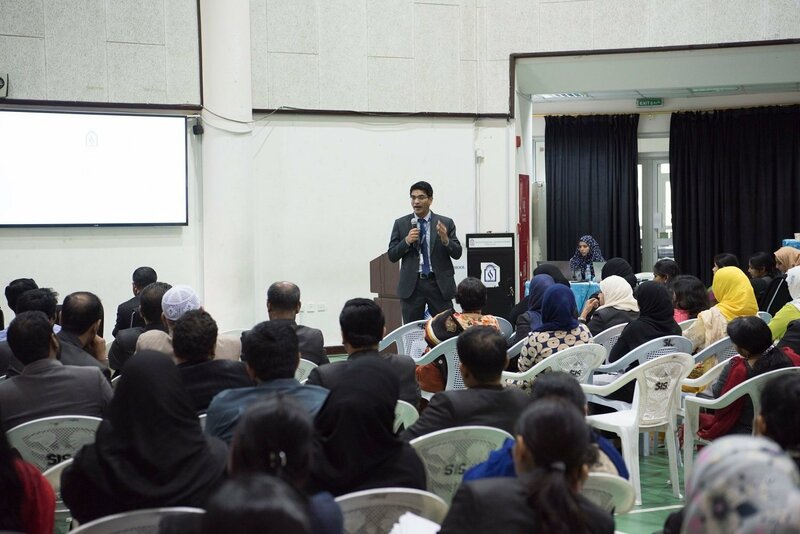 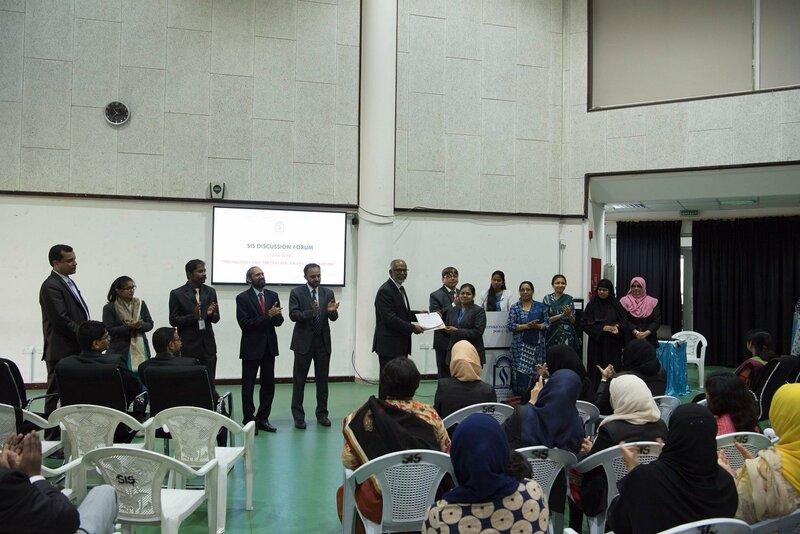 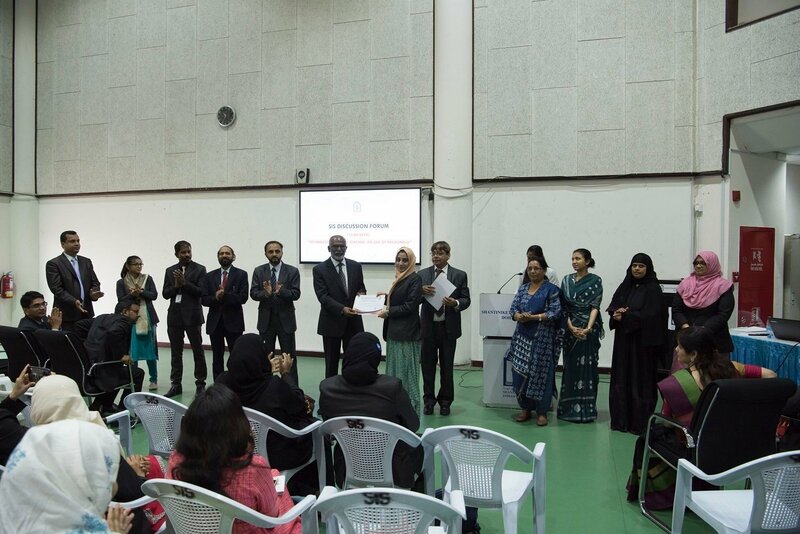 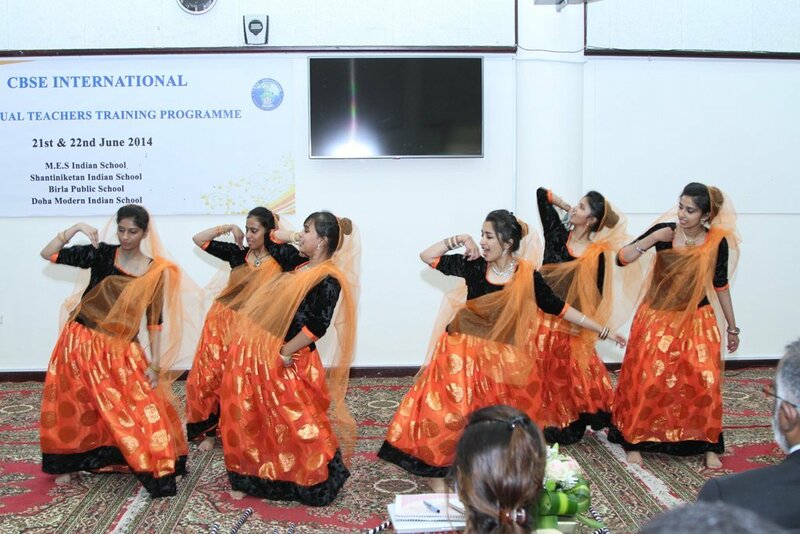 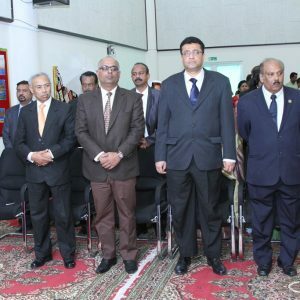 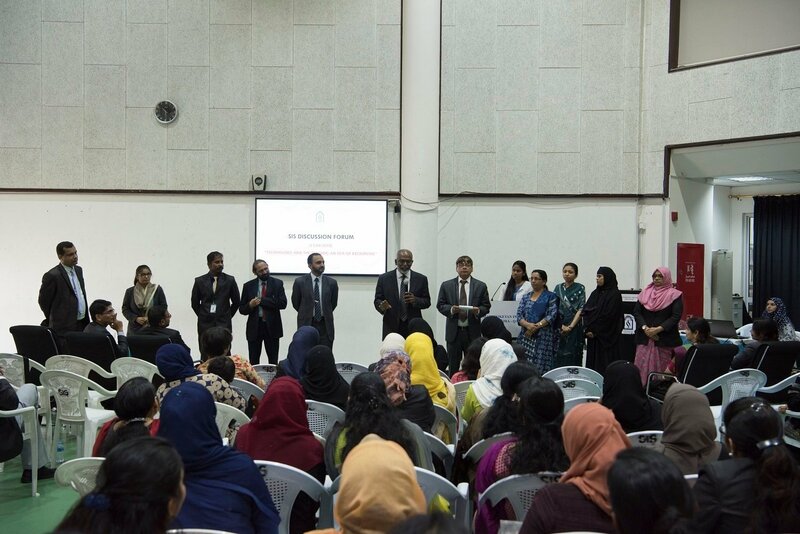 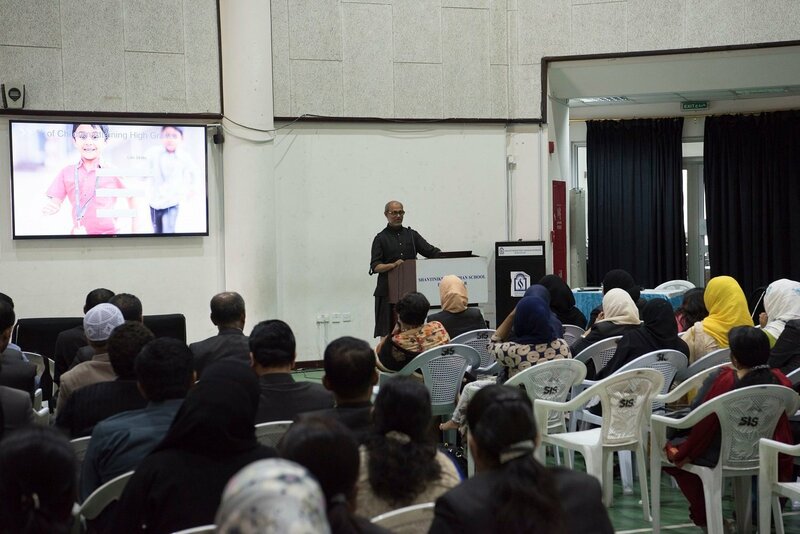 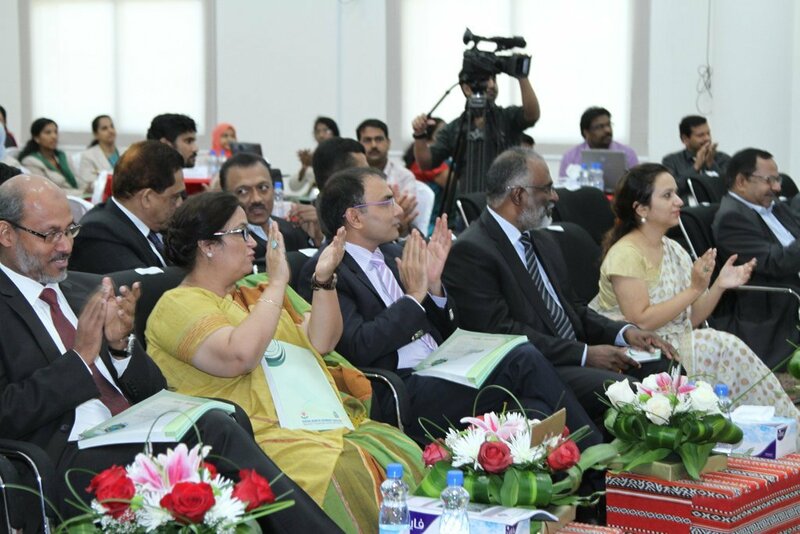 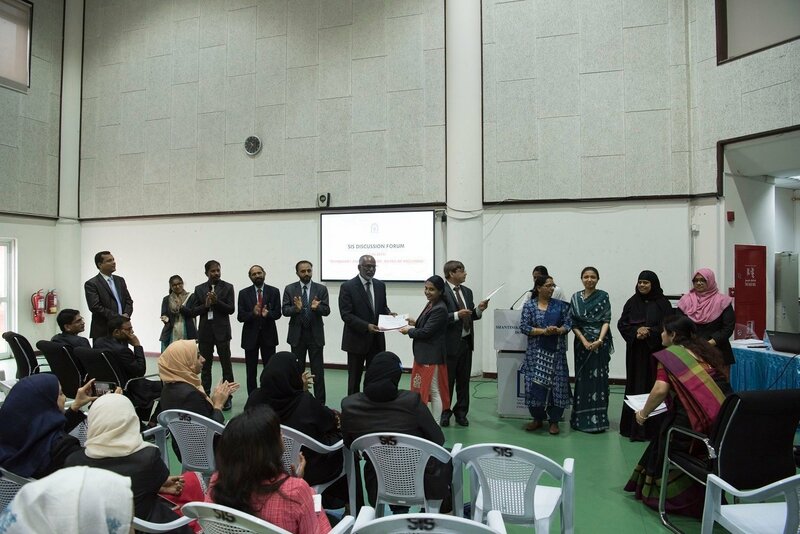 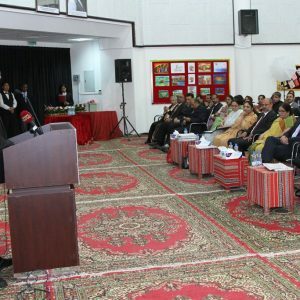 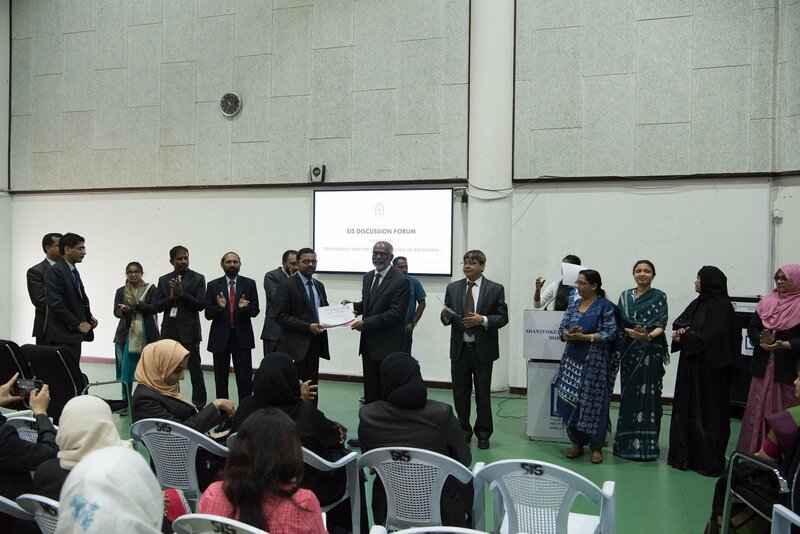 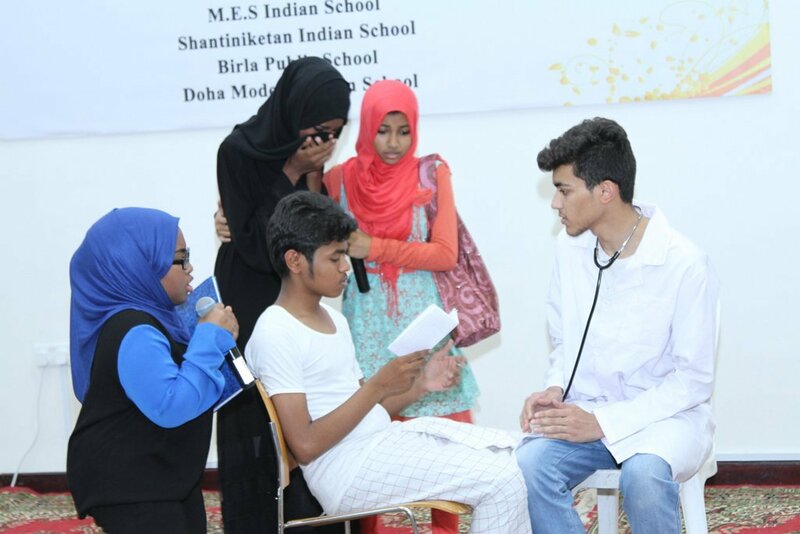 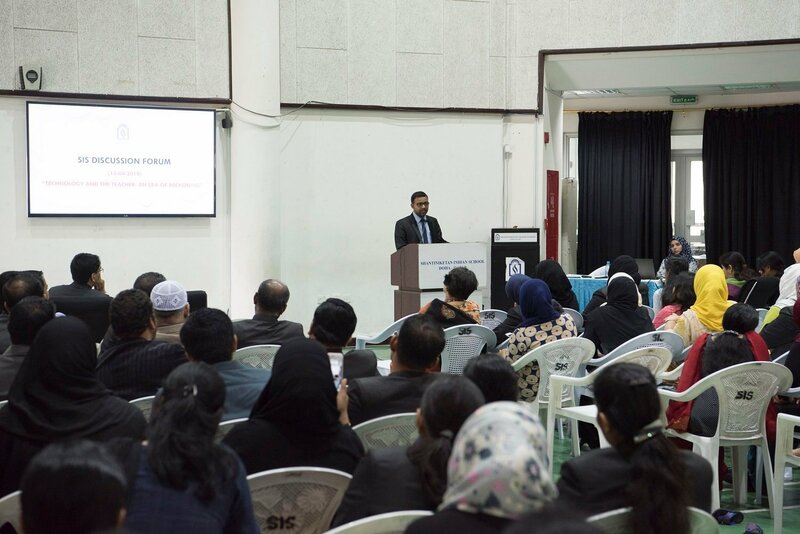 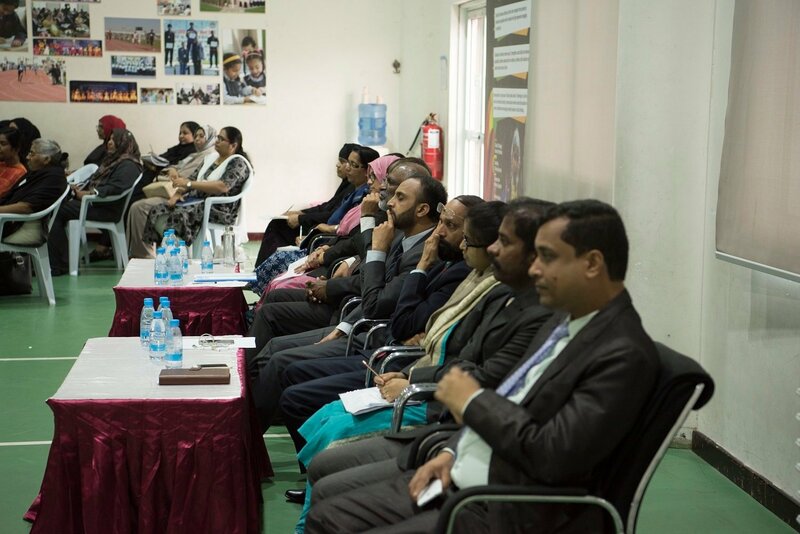 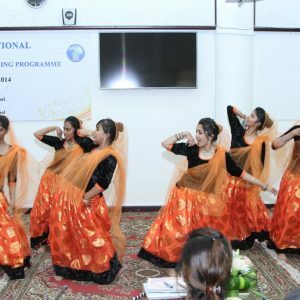 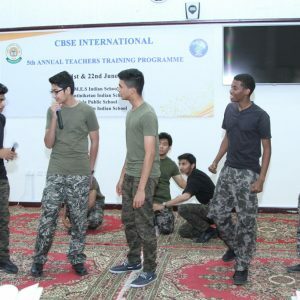 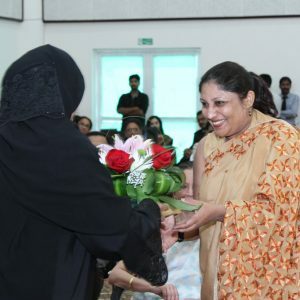 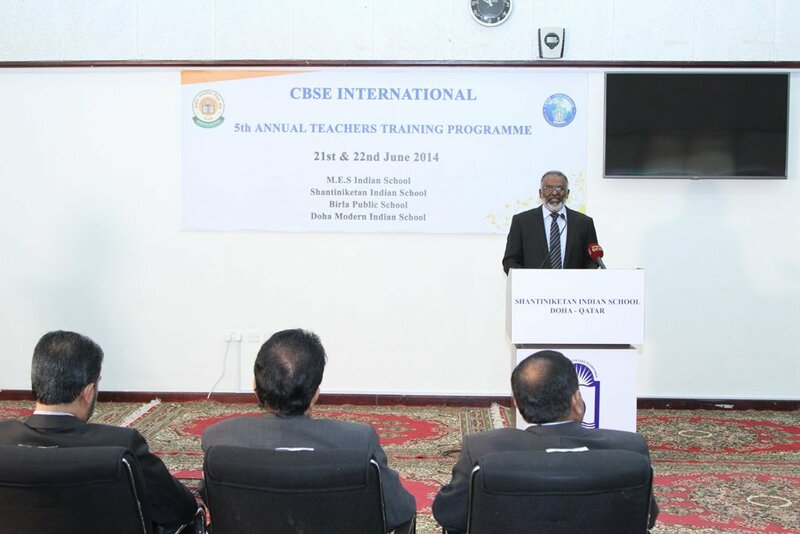 A CBSE-I Teachers’ Capacity Building programme was inaugurated by Mr. Dinesh Udenia, First Secretary Indian Embassy – Doha. 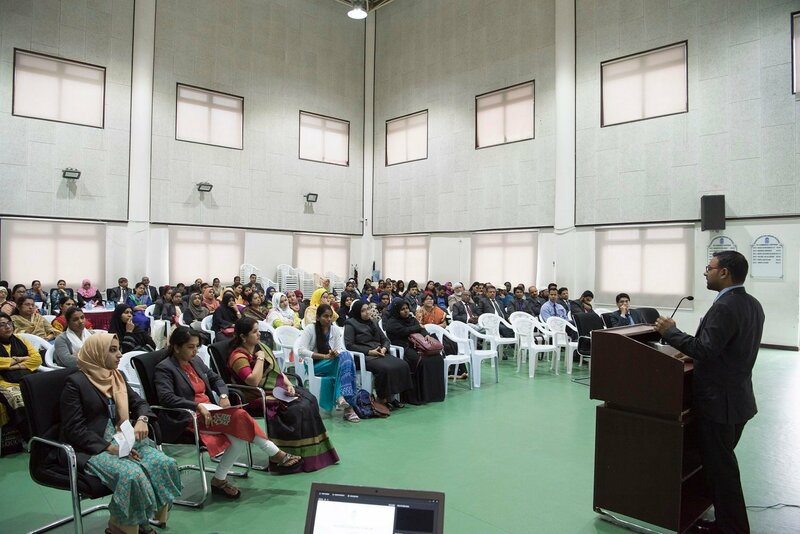 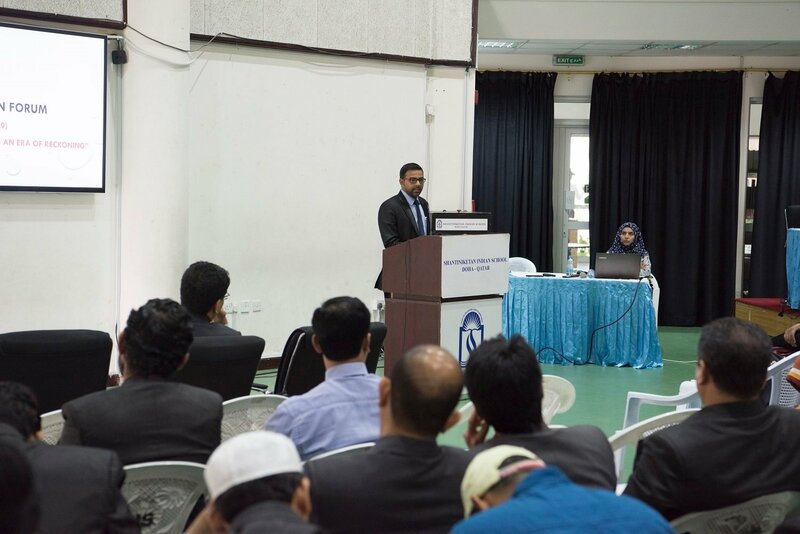 During his inaugural speech, he highlighted the importance of initiating differential learning to cater to all types of learners and make them better equipped to face all future challenges. 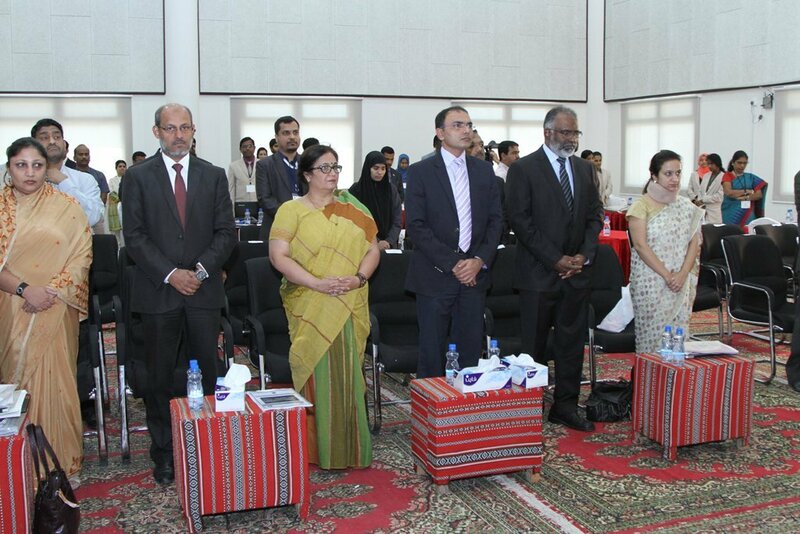 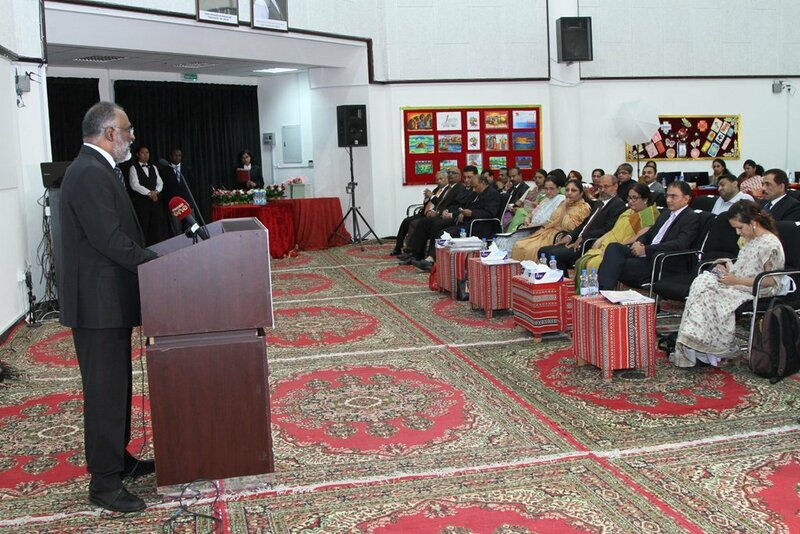 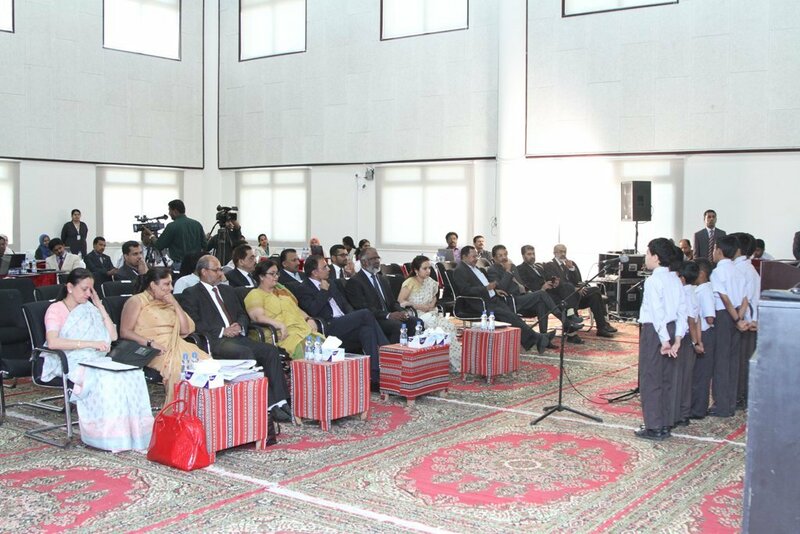 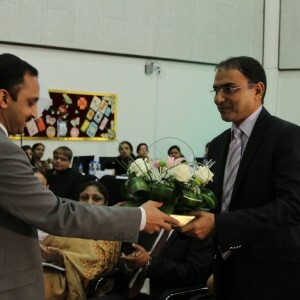 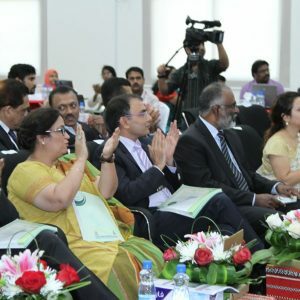 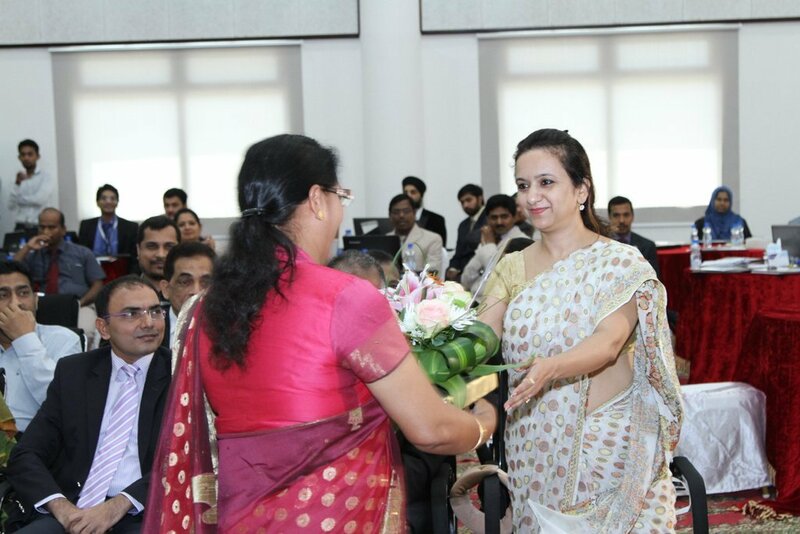 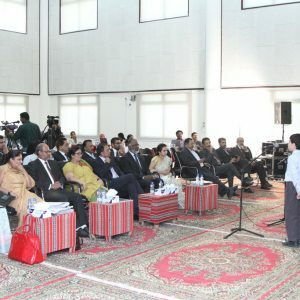 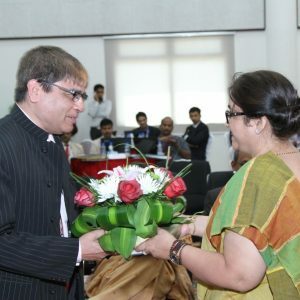 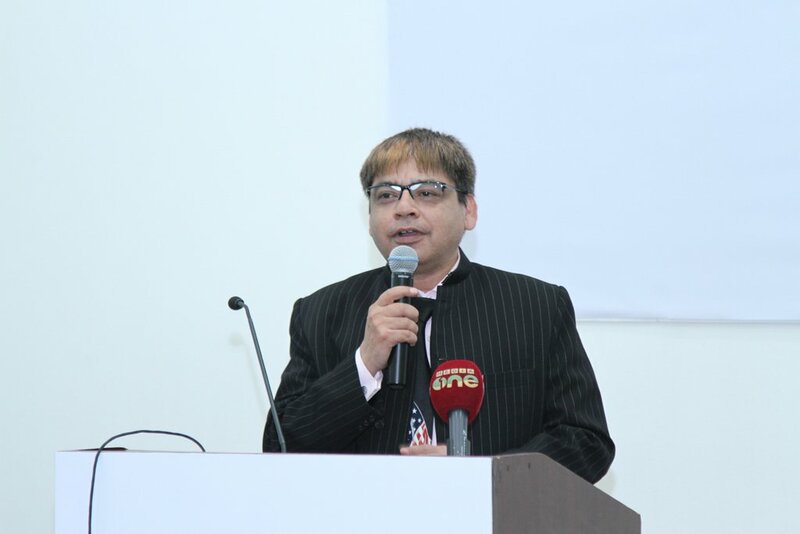 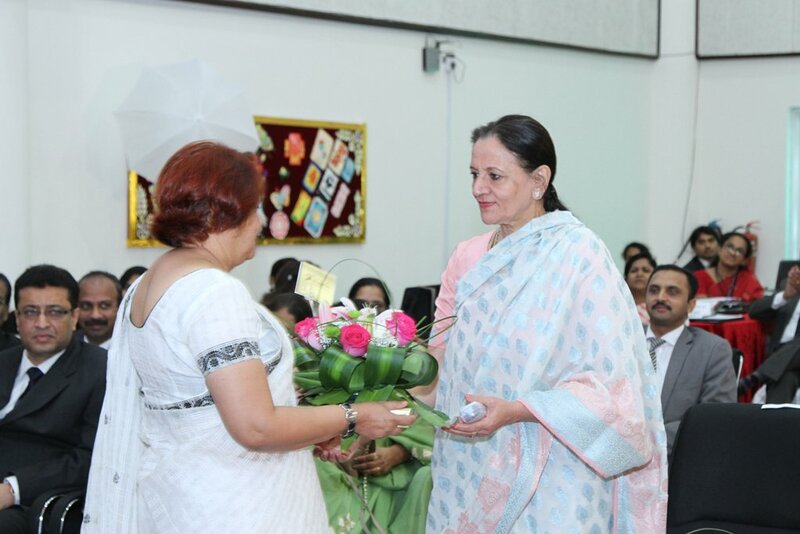 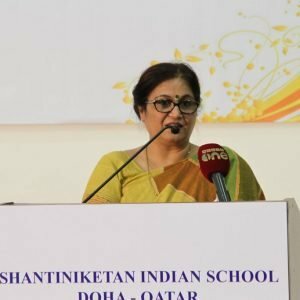 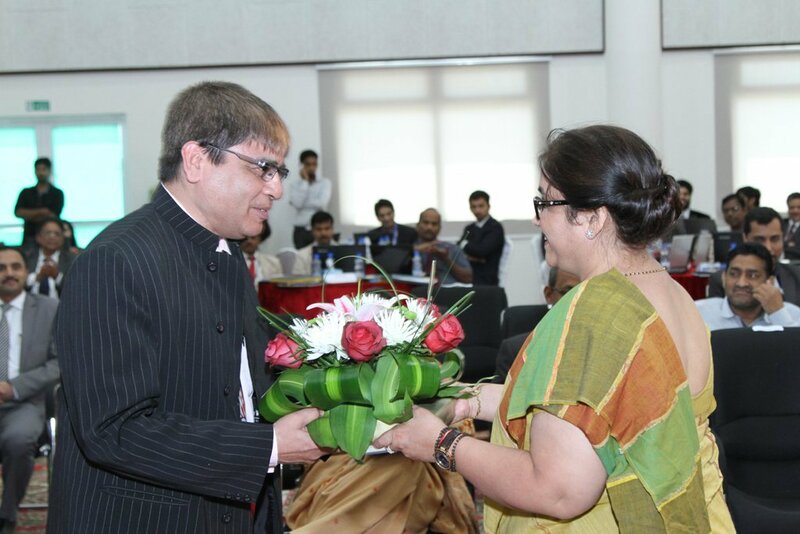 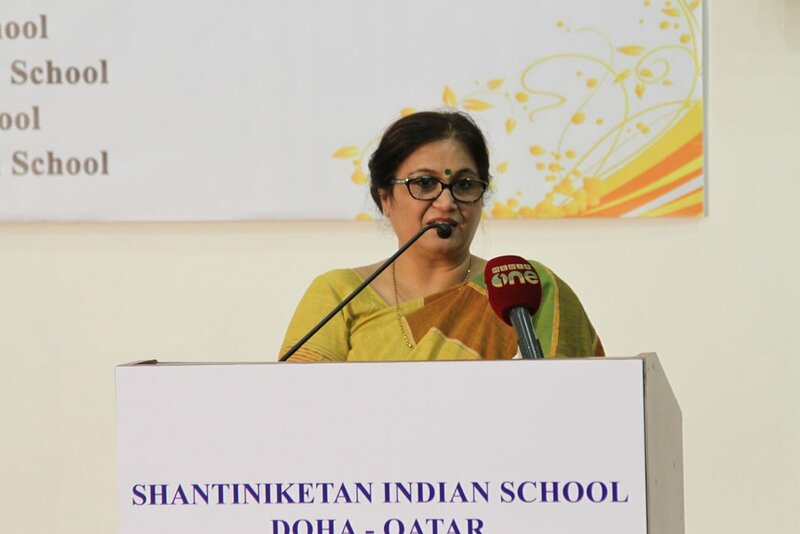 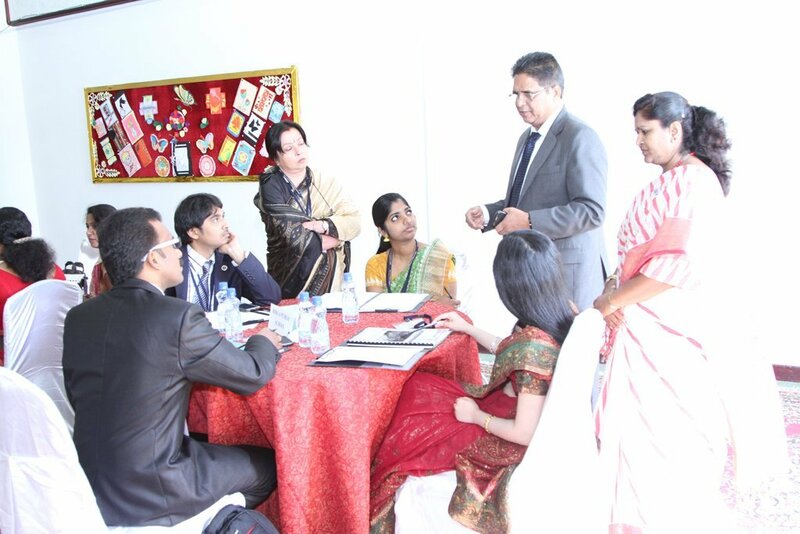 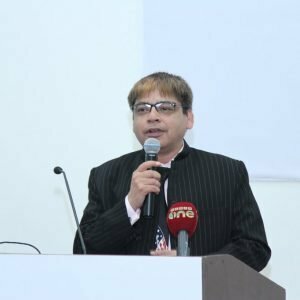 Dr. Subhash Nair, Principal of Shantiniketan Indian School, welcomed the elite gathering of educationists, comprising of Dr. Sadhana Parashar – Director [Academics, Research, Training & Innovation] Principals and Management Committee Members of Indian Schools in Doha. 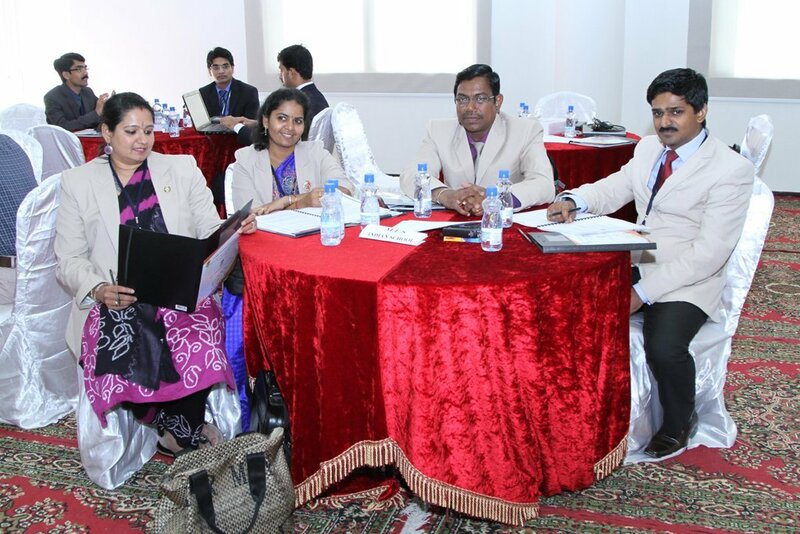 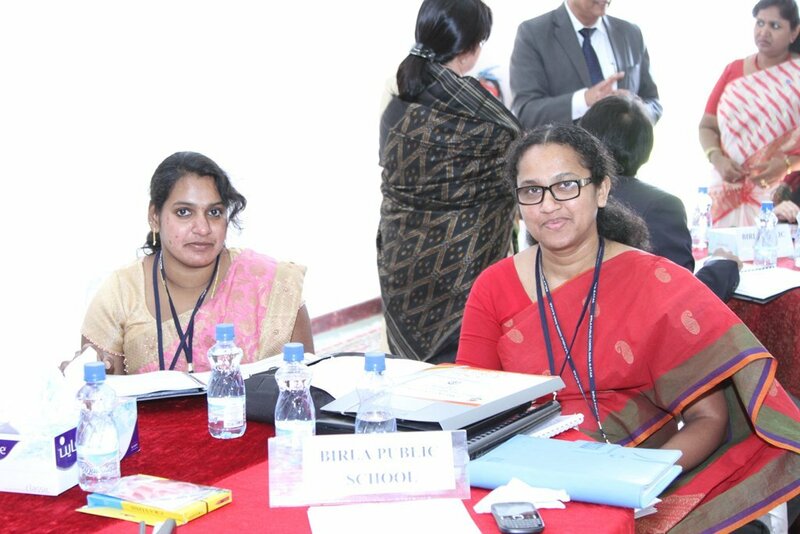 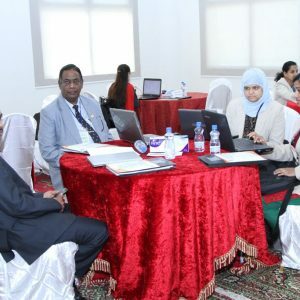 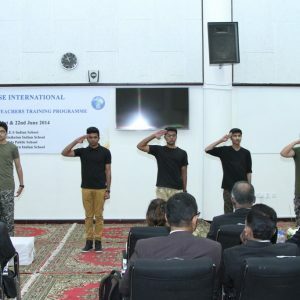 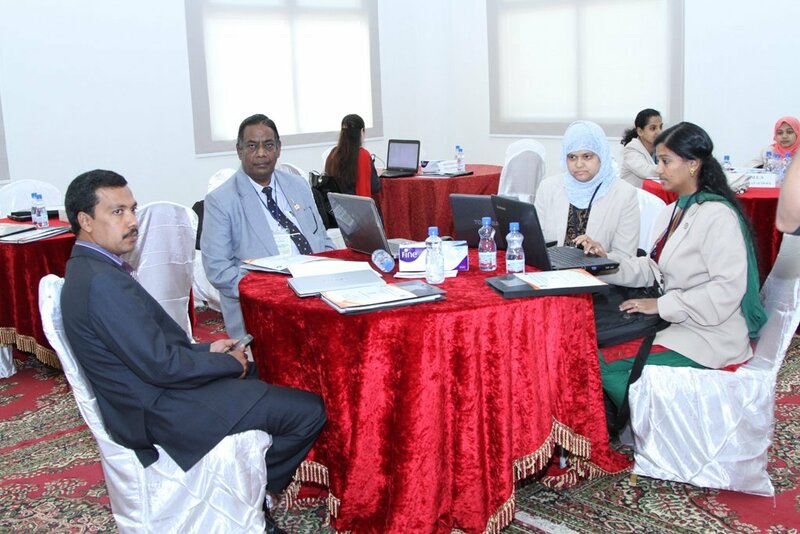 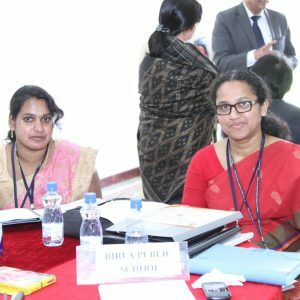 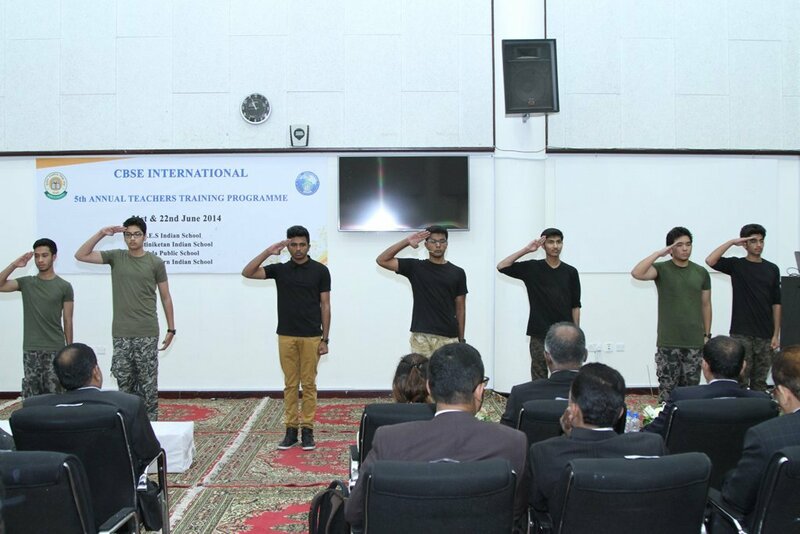 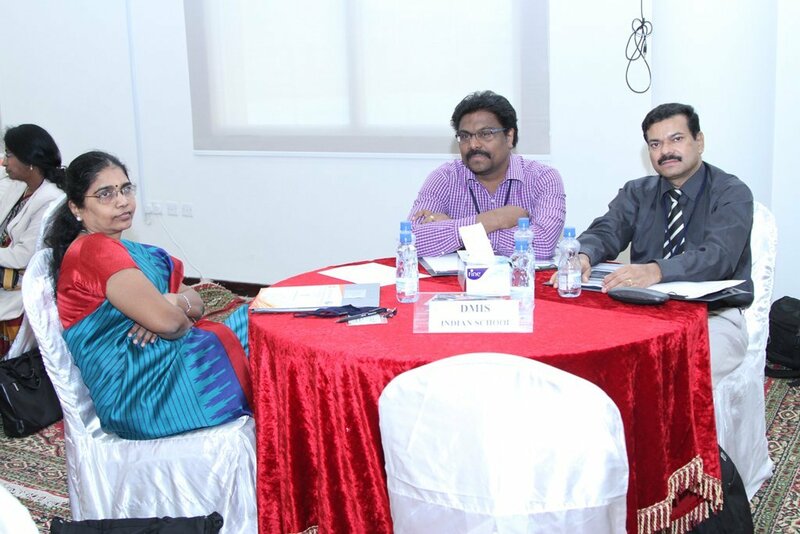 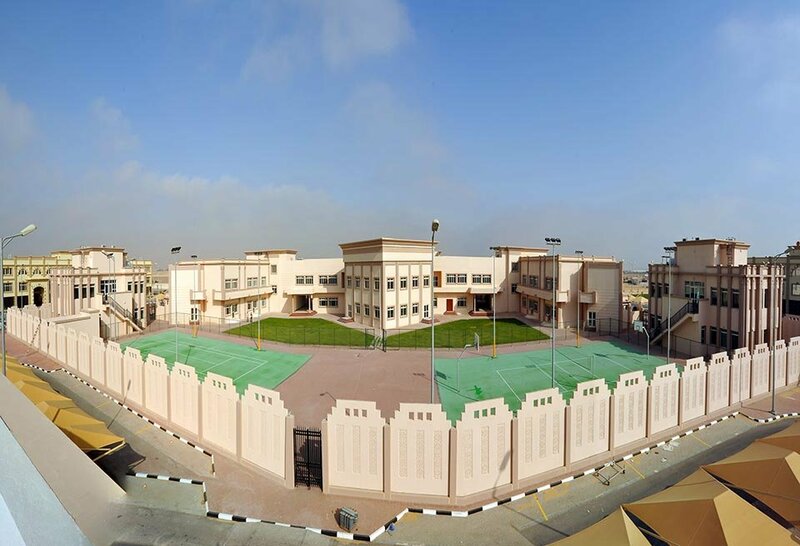 Delegates from MES Indian School, Shantiniketan Indian School, Birla Public School and Doha Modern Indian School will be benefitted from this two days intensive training programme. 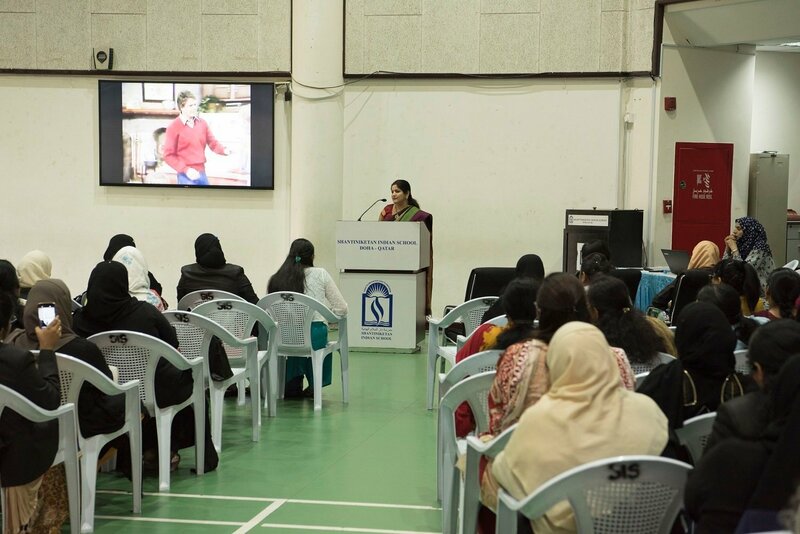 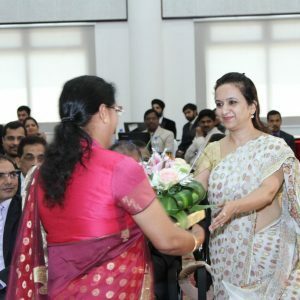 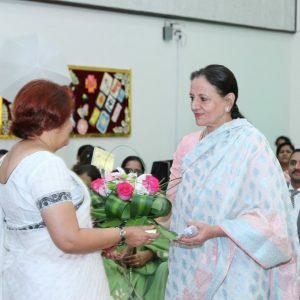 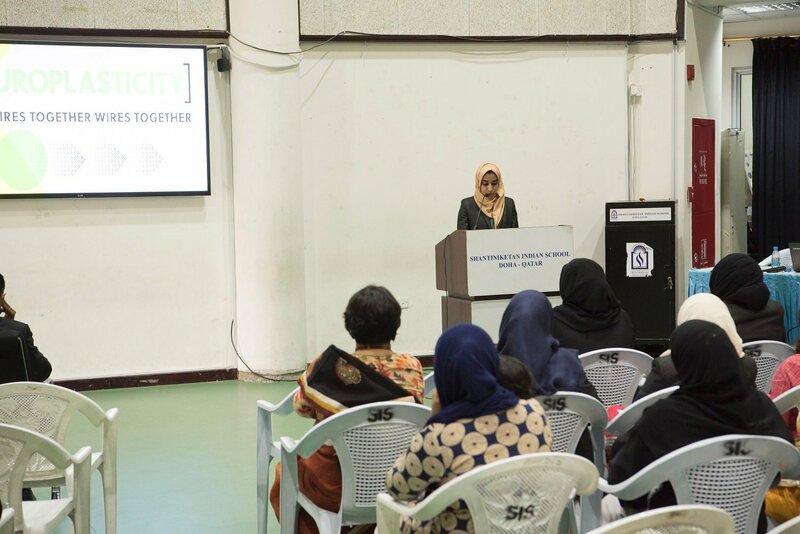 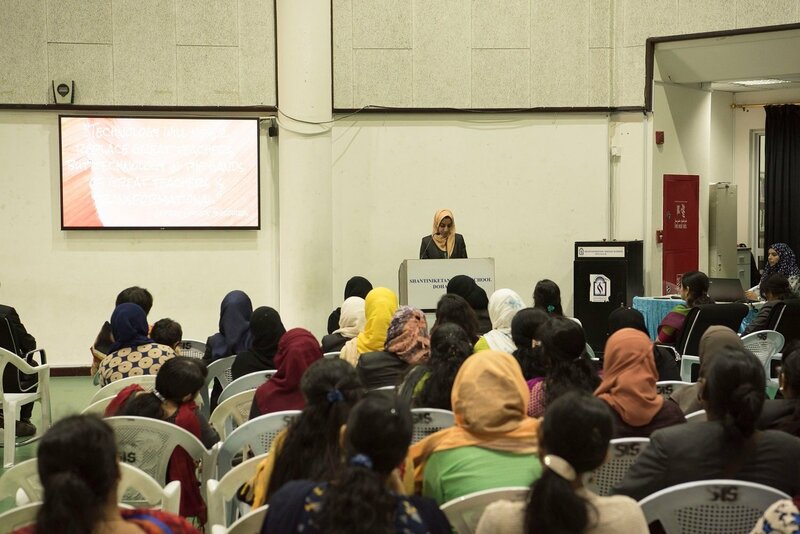 Addressing to the gathering, Dr. Sadhana Parashar, urged the teachers to prepare their children for multi-tasking and promised delegates that this training will empower them with techniques to deal with our digital native children in a better way. 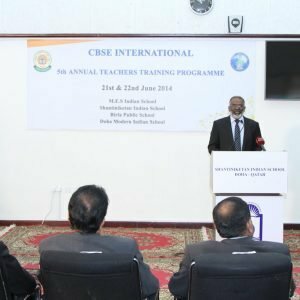 In his Speech, Mr. Dudley O’Connor, Vice Principal, (CBSE-I), Shantiniketan Indian School, highlighted the importance of such capacity Building Programmes for the CBSE-I curriculum. 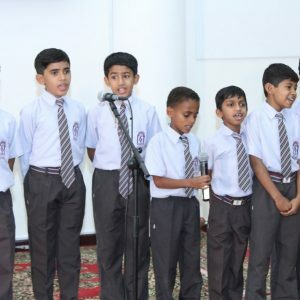 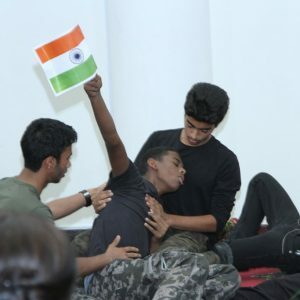 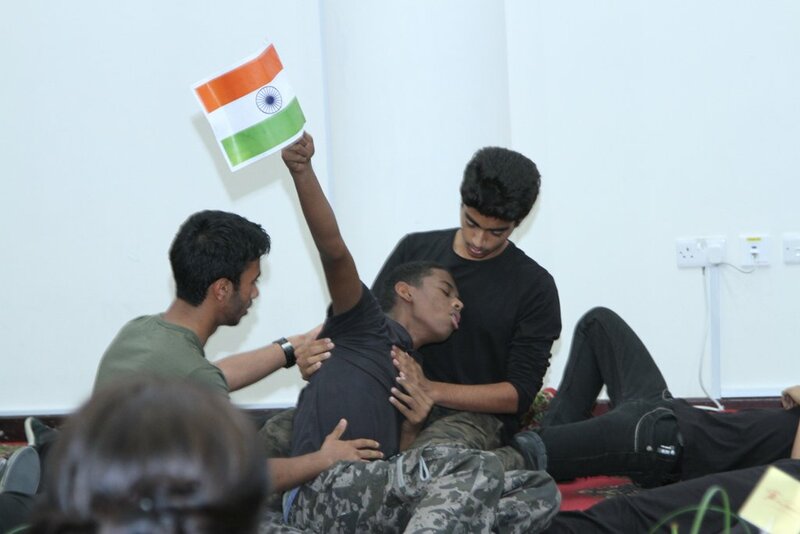 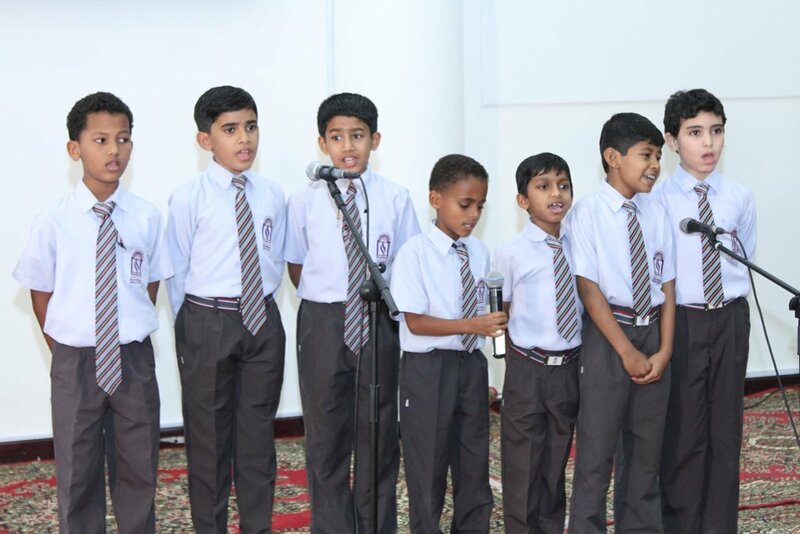 Earlier, the Students of Shantiniketan Indian School made the inaugural session colourful with songs and a skit “Sacrifice” to showcase their remarkable skills. 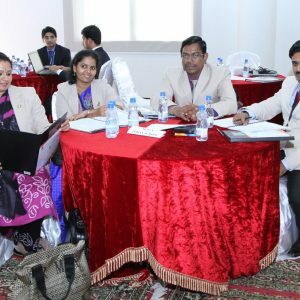 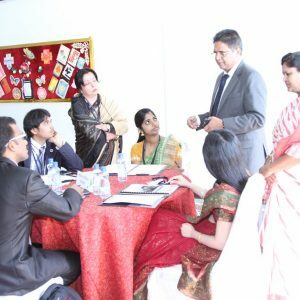 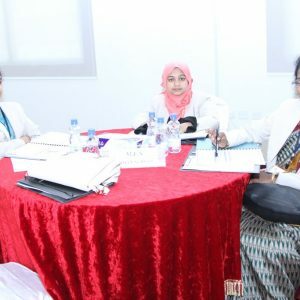 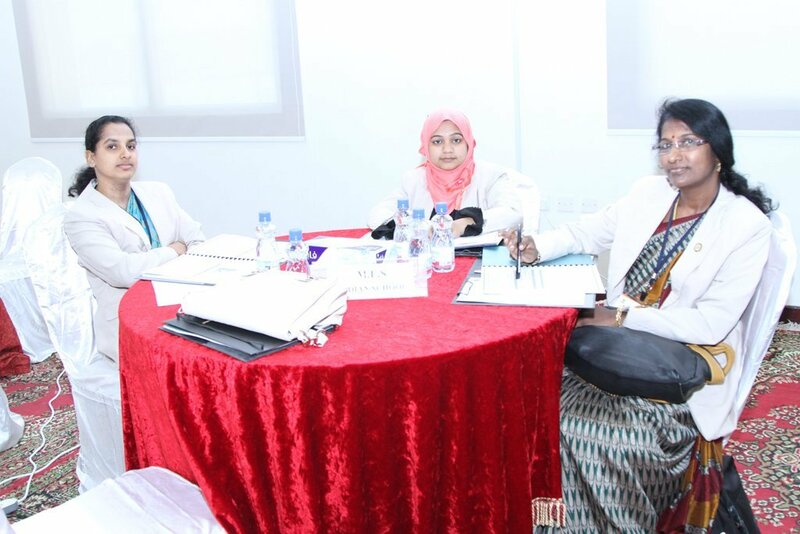 This two-day long intensive training programme is intended to imbibe modern teaching techniques among the educators or facilitators to develop multiple skills among the students to enrich their life and face multiple challenges coming their way with ease and confidence.